Alert the Media! – Special Hypnosis Event! 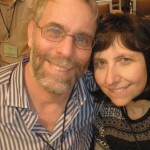 Michael and I are offering a special hypnosis event in the Greater Seattle area on Feb 9th. It’s a seminar designed to help people achieve their New Year’s Resolutions. I’m sharing our press release below! Coincidentally, yesterday I was talking to a man who works at a gym. He was commenting how quickly people “give up” on their goals, and New Year’s Resolutions about fitness in particular. Right now, this time of year the gym is packed (with good intentions and bodies wanting to work out and get fit) and then in a few days to weeks it’s “back to normal.” Only a few dedicated regulars. It doesn’t have to be that way. I gave him my business card! Here’s our press release. Michael and I would love to share this tool called hypnosis with you. It’s something amazing! Seattle-Bellevue-Everett, WA. Licensed private career school, Mindworks NLP, is pleased to announce an upcoming live training event. 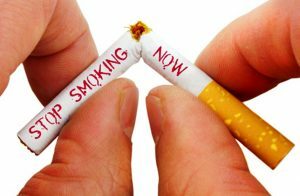 Residents of Greater Seattle metro area now have a smarter, simpler, more effective option for success with New Year’s Resolutions such as quit smoking and healthy eating. 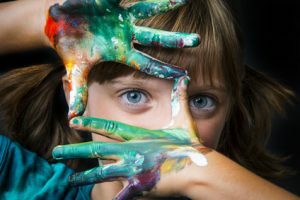 Mindworks NLP (http://www.seattlenlptraining.com) is offering a live, hands-on experiential seminar on Feb 9th in Bellevue, WA. 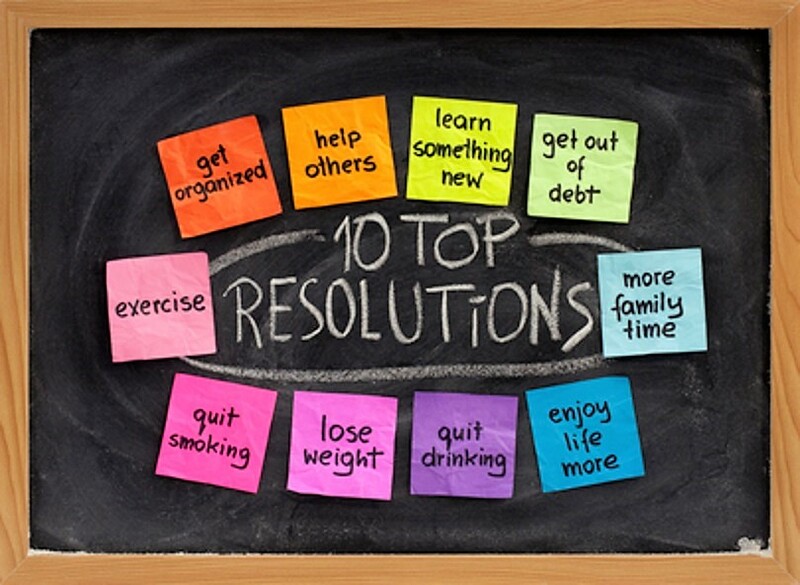 The seminar is titled: Achieve New Year’s Resolutions – Your Power of Mind. Professional hypnotherapists & Licensed Trainers of NLP®, Connie & Michael Brannan, will be conducting and instructing. Happy and healthy holidays to you and yours! Hi, there! Here’s hoping you have a glorious and happy holiday season and 2019. 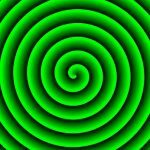 What is Hypnosis? A Focused Creative Mind Space! Creative, focused mind! All artists use hypnosis! Lots of new people are finding my pages and blog all the time. So, a timely reminder. Hypnosis is not what you think it is. It is so much more! What IS hypnosis? 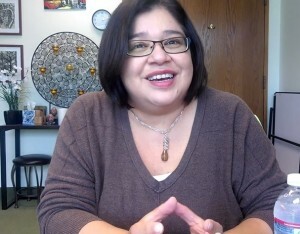 Here is a brief video which I created this a.m. in order to answer the question. This video shows you what hypnosis is, and what it is NOT. 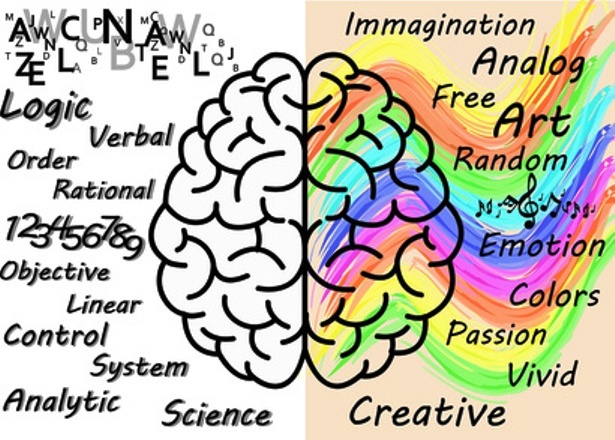 The reality is, hypnosis is a mind space of creativity and insight, where the mind is in accelerated learning mode. Discover it! It’s amazing. And like I say in the video, pure positive energy, 100% of the time. 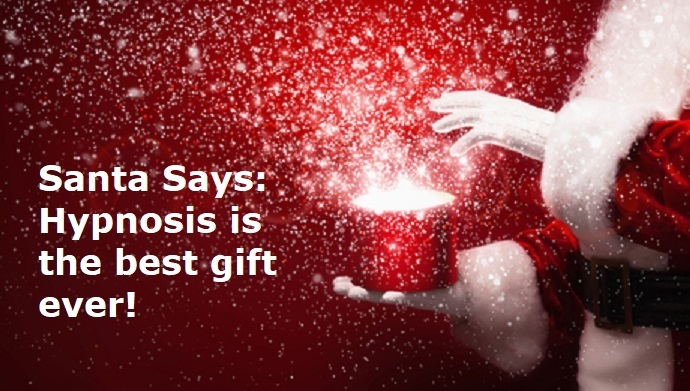 Learn more at the best hypnotherapy clinic in the Greater Seattle area, Mindworks Hypnosis & NLP. A Stress Free Holiday – Easier Than You Think! 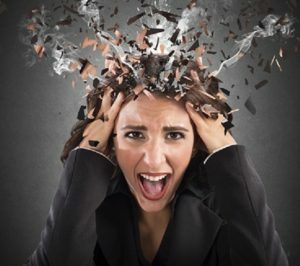 End stress with the best in Greater Seattle hypnotherapy. 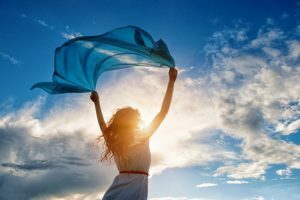 What can powerful and amazing hypnosis do for you? “It’s like a spa for your mind.” says one happy client. Skilled, live, hands on, one on one hypnotherapy helps you deal, and thrive. 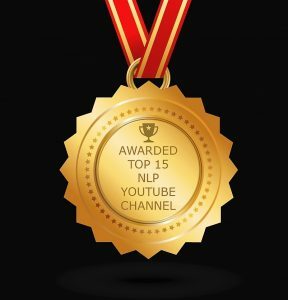 Learn more about NLP (a high tech conversational hypnosis) and hypnotherapy. We at Mindworks Hypnosis & NLP offer a free consult in our lovely hypnotherapy office in Bellevue. 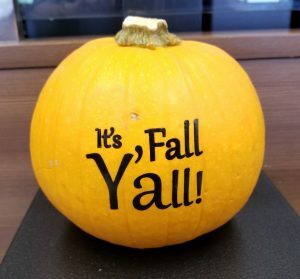 Today is officially the first day of Fall. Yay! Love it! This is my favorite season of the year, fresh, and crispy and colorful, especially here in beautiful Seattle–my home town! Fall is also a metaphor for your mind! It’s a timely reminder that change is easy, and change is natural. Look around! Look at the Seattle autumn color, change is happening everywhere right now. Fall into change. Yes! What if falling into a new lifestyle or new habits was as easy and natural as the changing of the seasons? As a green leaf turning gold? As a tree letting go of leaves? Of the air becoming crisp and clean? What if change was a natural, and easy process? Big secret. It is! I was watching a movie the other day. At one point a character is having a life crisis, and runs to her psychotherapist for direction. She says: I know I’ve been coming here 2 times a week for 8 years, but now I need some real help. Not surprisingly, he does not deliver it, and she ends up solving her own problem. That is, and is not the hypnotic way. Solving your own problems, yes. Taking forever, IF ever, no! These (hypnosis and NLP, Neuro-Linguistic Programming) are known as brief therapies, we’re talking minutes to hours, not years–and you do solve your own problems. The premise of my work is that YOU have inside yourself everything you need to change your life for the better, whether it be changing your weight or changing your habits, or improving yourself in any number of ways. I use hypnosis to help you tap into the power of YOU! Fall into your own power. Fall into change. Let’s do it! Have you heard about this very strange auditory sound bite…the Yanny or Laurel thing? Absolutely fascinating. It’s a word, computer voice generated. But, what word? Most people listening to this voice generation, hear: LAUREL. Fewer, hear: YANNY. How can that be? The same sound heard so differently? Actually, this phenomenon is well known in my world, it’s one of the tenets of NLP: we create our reality in our own mind. It’s a toggle switch created by the New York Times, so you can change your perception of what you’re hearing. With the pointer centered, you’re hearing the original sound. Do you hear Yanny or Laurel? Move the toggle left, move it right, and you’re altering the frequencies. I did this! And suddenly, Laurel popped! My brain performed what we call, in NLP parlance, a reframe. It’s not that (Yanny), it’s THIS! (Laurel). A new way of seeing, in this case, hearing. Suddenly, all I could hear in the sound bite was Laurel, Laurel, Laurel. Yanny was now auditorially invisible to me. I decided I wanted Yanny back. So, I played with the toggle some more training my mind to hear either word, based on my intention. So, now when I listen to the sound bite, I can hear either Laurel or Yanny, on demand. I amuse myself by listening to the recording and hearing: Yanny, Laurel, Yanny, Laurel, Yanny, Laurel. Or, I can hear both together in the same word, overlaid. We have power. We have control. The world is what we make it. Is that a cookie? Something delicious, a treat to be enjoyed? Or, is it a piece of disgusting “no way, Jose!”? Is that a cigarette, a familiar friend, or is it more like a person who you thought was a friend but you now see is a backstabbing liar who deserves to die a slow, horrible death? Consistent exercise, is that a chore or a joy? That spider thing over there, is that a terror or a whatever? Your coworker, does he make your blood boil in annoyance, or does he make you laugh? You decide. We all can decide. And our behaviors in the world follow our decisions. Reframing is the power to see things in a new way (or hear). 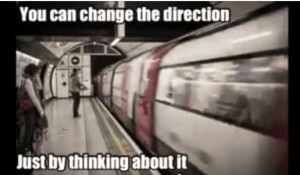 We can lock those changes in place, and live in a different world. Or, we can be flexible with them. That’s called choice. I remember how pleased I was when I was able to control this dancer. Is she spinning clockwise or counter clockwise? Either way, it’s up to me. I’ve always been fascinated with these phenomena. 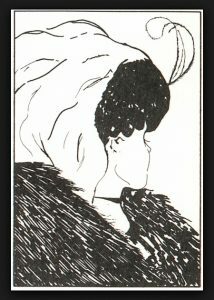 Is this an old woman, or a young woman? The power of mind is amazing. And this Yanny, Laurel thing is a great example. 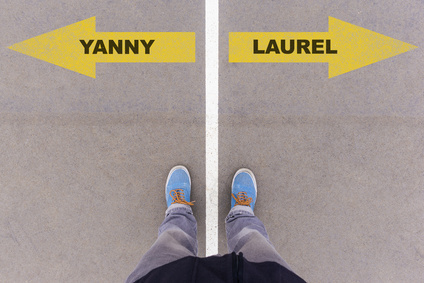 Play with the toggle switch tool I shared, and discover that you get to choose whether it’s Yanny or Laurel, just like you get to choose everything else in your world. 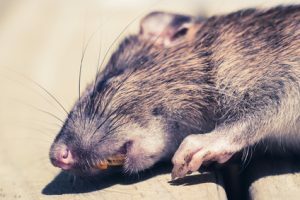 When is a Belief Like a Dead Rat? A limiting belief is like a dead rat under the carpet. What’s a metaphor? It’s a story with a meaning, on multiple levels. What’s great about the unconscious mind is that it reads all meanings. I had a client come in the other day. She had a dead rat under the carpet. It reeked. So bad! The whole room had this unpleasant aura about it, and those who entered found it unpleasant and wanted to escape. She had tried vacuuming the carpet. And things would look somewhat nicer. But the dead rat would still be there. She had even tried shampooing the carpet. And things would smell a little fresher. For a while. But the rat would still be there. And all that reek would return. The dead rat was an idea in her mind, which I call a “limiting belief.” A belief of “I’m unworthy” was stinking up her life. How ridiculous. And how false. And how unnecessary. And no one forced that rat under the carpet and let it fester for a lifetime, she did that. 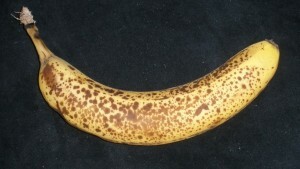 By now it was very ripe and rancid. What needs doing? Remove the rat. And now, her life is going to improve moment by moment, day by day. She’s going to have a life of more joy, and success, and love, and power of all varieties. She doesn’t know (yet) how big this change is for her. I know. Because I’ve done this same work to remove limiting beliefs with multiple people before. A limiting belief is the “big bad” in the mind, and once it’s gone, so much positive energy flows into a life. And positive outcomes. How do we do that? 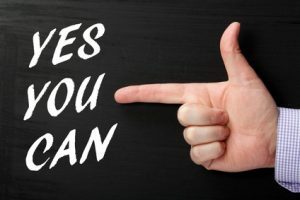 Remove a limiting belief? 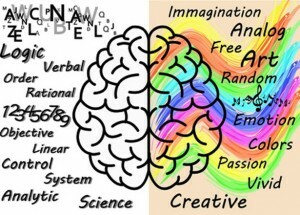 That’s the power of skilled and creative NLP. We can change anything. My preferred method of making this happen is my creation, a trademarked service: Designer Beliefs®. Other therapies out there want to find the rat—which is good, but then they do nothing to remove it! Instead, they analyze, discuss and debate. Meanwhile, the stench remains. My way is quicker and more effective. We don’t discuss a problem, we end it. That’s NLP. As I’m getting older here, I’m becoming more and more aware: life is short. And it’s meant to be an adventure of love, joy, fun, freedom, gratitude, laughter, and so on. Don’t waste it. 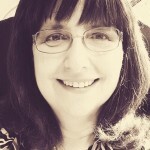 Hypnosis and Reiki – Two Great Things That Go Great Together! 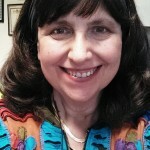 Would you like a side of pure positive energy, healing energy, with your hypnosis? We can do that! 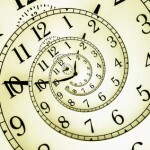 At Mindworks Hypnosis & NLP we have a variety of tools for a variety of clients and life goals. Reiki is one of those tools we offer. 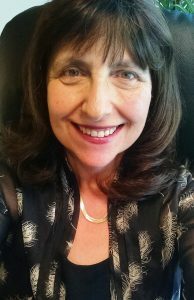 Hypnosis and reiki– like chocolate and peanut butter, two great things that go great together! Sometimes, the mind allows change to tippy toe in, and it unfolds slow and steady. And sometimes, the mind agrees to instant change: “OK, let’s do it!” Boom! Successful change is dramatic and far reaching. 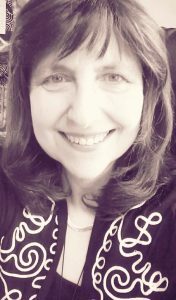 Patricia F., of Seattle, WA had the fast version of success after we spoke with her unconscious mind. “Hi Connie! 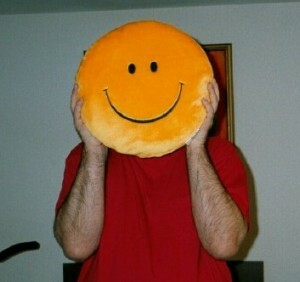 My positive attitude has attracted so many positive things and people since the day you changed my life. I’m doing very well. From the day I left your office, I feel brand new. I feel so confident. I start conversations with strangers, which is something I couldn’t do before. I was so negative, even when people complimented me, I’d respond negatively. I’ve made so many friends, more than I had in years. Wherever I go, I feel like the center of attention. I have actually lost weight since our session (24 lbs to be exact). I believe with all the changes people are seeing in me, I will be sending people your way. You are and will always be someone I highly regard. Even though you don’t hear it, you probably feel it in your heart, that I thank you on a daily basis and consider you a blessing in my life! 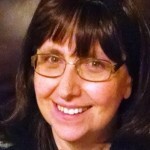 I love you Connie!” –Patricia F, Seattle, WA. 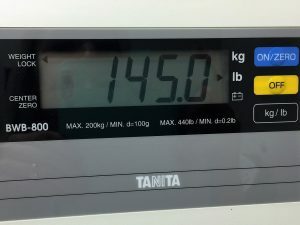 We didn’t work on weight loss, and yet, she’s lost 24 pounds. We didn’t work on social confidence in particular, and yet, that has grown. Just goes to show, when you feel good about yourself, life changes all around you. I could tell you how I help people get the biggest bang for their buck in terms of positive change fast, but that would be revealing my trademarked secrets. 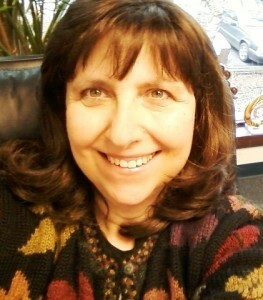 Take my trainings at career school, Mindworks NLP (http://www.seattlenlptraining.com) and you’ll get some insights. Suffice it to say, I found the lynch-pin holding negativity in her life. A limiting belief. We removed it. Took all of 1/2 hour. We didn’t discuss it, or analyze it, we just removed it. 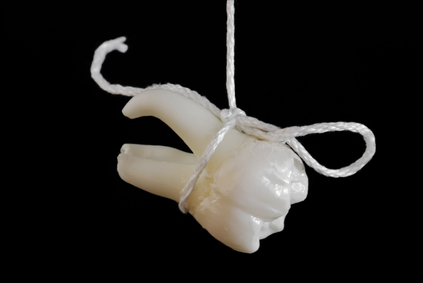 This was an interactive process, and then we cemented in the changes via hypnotherapy. I love to get letters like the one today from Patricia. Made my day. She is a ray of positive energy, of sunshine, and she was all along. All the negativity and self criticism she was experiencing before was a mistake, an aberration, and had no place in such a lovely lady. And not just our private clients. 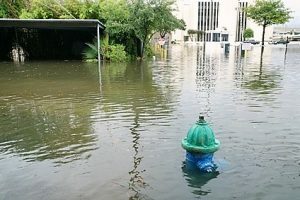 Mindworks Hypnosis & NLP is donating to Hurricane Harvey relief. Mindworks Hypnosis & NLP is pledging a percentage of our Neuro-Linguistic Hypnotherapy private sessions/services income for September, 2017, to the American Red Cross. The American Red Cross is working around the clock along the Gulf Coast to help the thousands of people whose lives have been devastated by Hurricane Harvey. We are one nation, and when it counts, we help! Join us in helping support the relief efforts for those affected by this disaster. I so much love what I do, helping and healing work. And I love hearing from my clients months later, of their long term successes continuing to unfold. Clients usually notice immediate positive changes in the days around our work, however, that’s not the end of it! We program into the unconscious mind a progression of success building over time–using a proprietary process I invented. My client, Taylor, reports just that, long term success This letter, (enclosed below with permission) made my day! “Hi, Connie! We worked together a few times last year on improving confidence and self-worth. Working with you was a HUGE turning point in my life. I have never felt better. The practical tools we created together and that you customized for me always work, without fail. 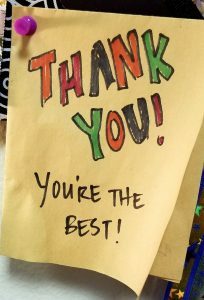 Infinite thank you’s to you, awesome you! In light of how highly I think of you and your work, I am now reaching out to you to help a family member. I can’t think of anyone better or more qualified to help than you. He has done talk therapy a lot. . . He needs subconscious work with you and tools to bring himself back to a state of balance and happiness. Yay, for Taylor! And yes, I could help the family member. I’d be happy to do so. If you’d like to learn more about the power of skilled Neuro-Linguistic Programming (NLP) and hypnotherapy, call me! I do offer a free consult meeting. 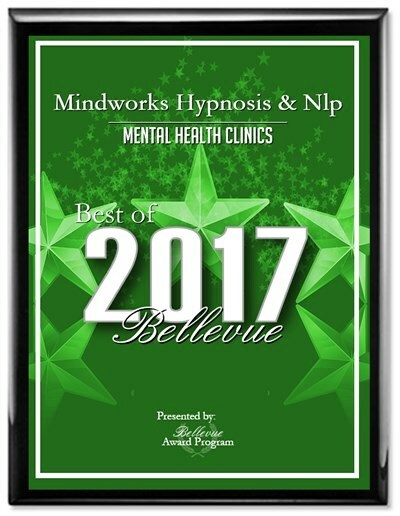 Connie Brannan’s Mindworks Hypnosis & NLP has been selected for 2017 Best of Bellevue Award in the Mental Health Clinic category by the Bellevue Award Program. Each year, the Bellevue Award Program identifies companies of exceptional success in their local community and business category. These are local companies that enhance the positive image of small business through service to their customers and our community. These exceptional companies help make the Bellevue area a great place to live, work and play. Various sources of information were gathered and analyzed to choose the winners in each category. The 2017 Bellevue Award Program focuses on quality, not quantity. Winners are determined based on the information gathered both internally by the Bellevue Award Program and data provided by third parties. The Bellevue Award Program is an annual awards program honoring the achievements and accomplishments of local businesses throughout the Bellevue area. Recognition is given to those companies that have shown the ability to use their best practices and implemented programs to generate long-term value. The Bellevue Award Program was established to recognize the best of local businesses. 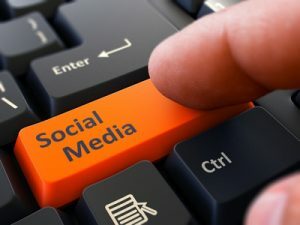 The organization works exclusively with local business owners, trade groups, professional associations and other business advertising and marketing groups. Our mission is to recognize the small business community’s contributions to the U.S. economy. 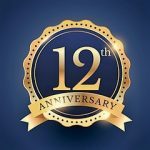 It goes on to read: “Dear Mindworks Hypnosis, We’re proud to recognize Mindworks Hypnosis for the positive ratings and reviews you’ve earned on Yelp in the last year. Our visitors love Mindworks Hypnosis! 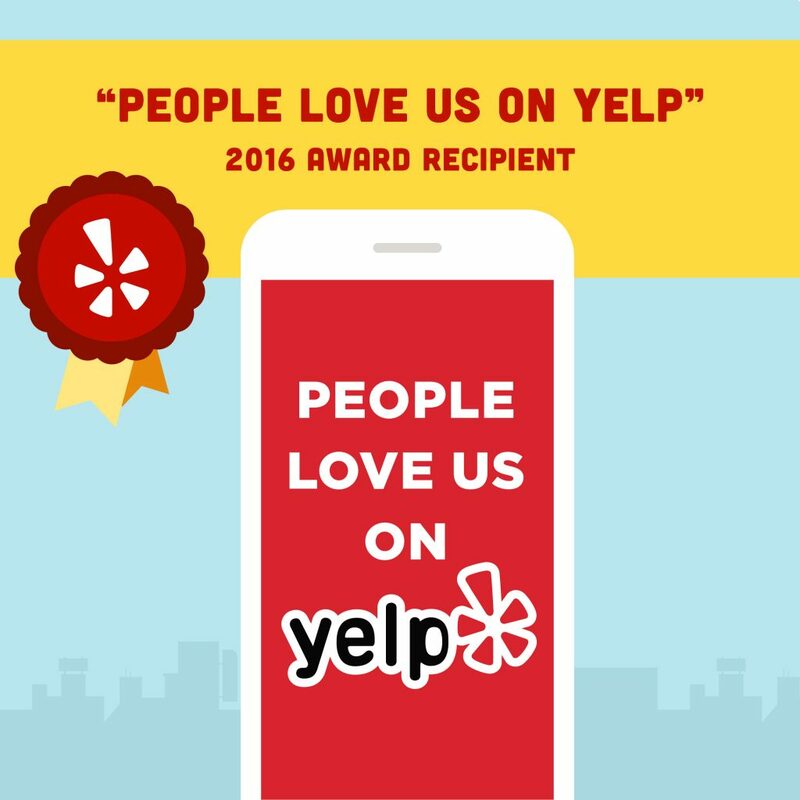 In recognition of your accomplishment, we’re presenting you with the “People Love Us On Yelp” award, which is only awarded to the most highly rated and best reviewed businesses on Yelp.” — Jeremy Stoppelman, CEO, Yelp. More proof of the pudding. Happy clients sharing their positive outcomes–the passion and purpose of our hypnosis and NLP Neuro Linguistic Programming services. The proof is in YOUR success. Come and get it. 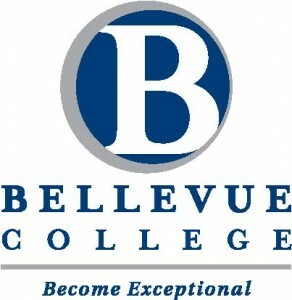 I was asked to share my expertise in hypnosis by Bellevue College. Number one, by teaching courses there. Yes, I do. (Two courses coming up next month!) 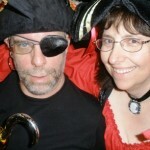 In addition, last week they contacted me to be a contributor on their blog. To write something for their readers! Here’s what I wrote: Self-Hypnosis: A tool for life success! I’m excited to teach these brief courses next month. If you’d like to find out more, here are the links to Bellevue College Continuing Ed’s website. And there can be triggers for INSTANT hypnosis, like flipping a light switch, from awake to hypnosis. That’s what I install for students at Bellevue College who take my Self Hypnosis for Healthy Eating and Weight Loss course. It starts tomorrow, June 1st. Who wants in? This is an amazing tool. It’s like the old expression: “Give a man a fish and he has dinner tonight. Teach him HOW to fish, and he has an endless supply of dinners.” Self hypnosis is fishing for personal development! Join me in this marvelous adventure. I invite you. It’s two evenings wherein we stuff your mind full of new understandings of what is hypnosis, how does the mind work, how do we create change in ourselves, some language of influence, and this instant trigger for trance is installed. You learn to DO self hypnosis. You learn and you play. It’s experiential. Hypnosis happens. Fun, fun, fun. That’s my opinion and I’m sticking with it. It’s May 18th, for two hours, at Bellevue College’s North Campus in Bellevue. It’s an experiential evening. By that I mean: you get hypnotized. And you get to participate in one of my “hypnotic interventions” that I use in my office work, to set a goal into your life such that your mind works overtime to make it happen. All this fun and learning for $49. Wow, as they say! 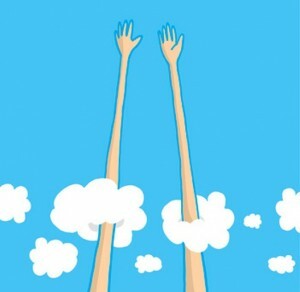 High Five for Skilled Hypnosis and Success. Weight loss is really a sequence of two goals: Get that ideal weight. Then… Stay there. What’s cool is that hypnosis helps you do both. Here’s a gentleman I helped with self image and weight loss who found himself needing to refocus on his “stay away from sugar” goals. A quick hypnotic “tuneup” as he called it got him back on track. 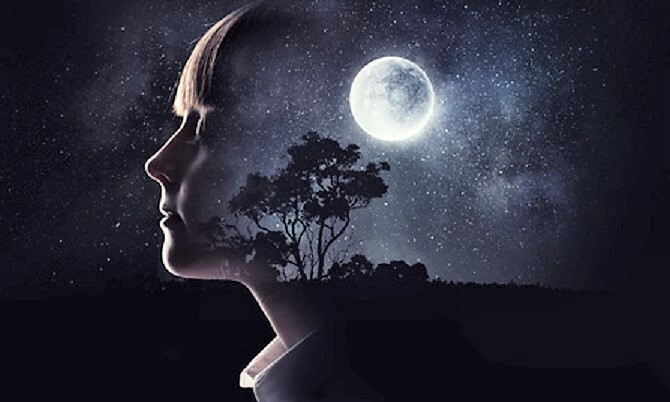 In my recent article, I explain how effective hypnosis and NLP done right changes your mental outlook first, and then your body second. Read more here: Feel Great and Lose Weight. Just the Two of Us for 35 Years. Happy Valentine’s Day to our Hypno Friends! We’re coming up on a celebration of love. Valentine’s Day! 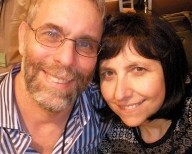 Michael and I send our best wishes for your happy connections, on Valentines Day and always. However, in addition to luck, every relationship can be improved with effective ways to communicate and relate. A “relationship” is really just a series of moments of “relating” and we can change those moments and how we relate at any time. Anyone can learn to have great relationships. This is also the work we do one on one at Mindworks Hypnosis and teach at Mindworks NLP. 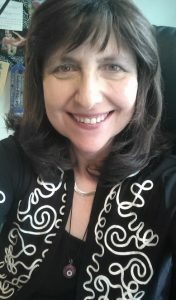 We help people to have new and improved rapport skills, management of emotions, new positive ways or relating and communicating, whether it’s with spouses, significant others, bosses, baristas, or perfect strangers. Learn more anytime! 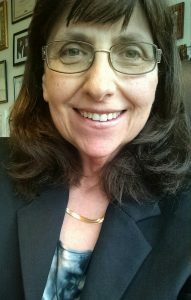 I offer free consultations in my office in Bellevue. 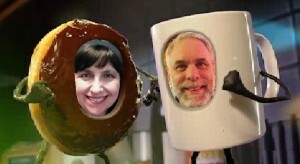 PS: If chocolate consumption gets out of hand, I help with that as well. 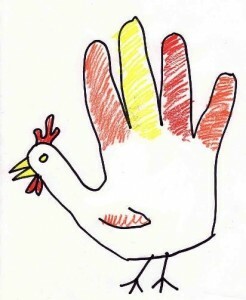 Happy Thanksgiving from Mindworks Hypnosis & NLP. Happy Thanksgiving to all our hypnosis friends, clients and students! The holidays are upon us! 🙂 It’s a good time to pause and reflect on all the wonderful and positive people and things and happy events in our lives. Remember, what you focus on expands, so here’s to MORE of that (the good things) for you in the days and weeks and months to come! Some people are ready for change and success. Are you one of them? Kal, from Seattle, sure was. We had a few sessions, and now he sees himself and the world in a whole new way, a more resourceful way. Goodbye, fear of failure and fear of rejection–that was ridiculous in the first place, and now it’s gone. There is nothing standing in the way of his success now. Yay, for Kal! He’s found more power through our NLP (Neuro Linguistic Programming) and hypnosis change work. Change is easy, with the right tools. 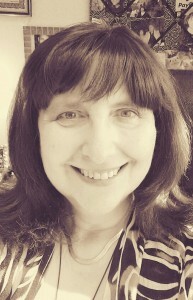 Another happy Mindworks Hypnosis & NLP client. • I’ve been waking up in the morning, and I have lots of energy. • I’m not focused on food, which I think is really awesome for me, because that’s always been a big focus. • I’m not eating sugar, which is a huge thing! I’ve really seen the differences in that. My skin isn’t breaking out. And I don’t have headaches, and that’s a huge thing. Because I always felt like I had allergies that were food related. I’m starting to eliminate all of that processed sugar stuff. • No cravings for fast food whatsoever. I can drive by fast food and I’m not getting any of that, which is really great! 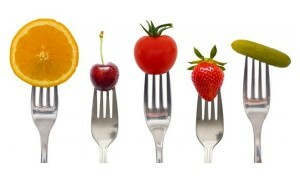 • I’m noticing that I’m starting to incorporate healthy foods into my diet more easily, automatically. In the past if I didn’t feel like making dinner, I would be thinking about where can I go to pick up something to eat quick. Now, what I’m doing is going into the fridge: “OK, well, I’ve got some veggies and I could do a stir fry.” and I’m whipping up a meal and I’m satisfied with it! • Another interesting thing, is that my portions are minimal. Just regular sized portions, and I’m not hungry after I eat. I’m done! I just make my meal and I’m satisfied. And sometimes I’m even making too much food. I put it away and have something for leftovers. So, it’s been really good! I can definitely tell that there’s a shift happening for me. For sure! I do recommend Connie. I was one of those people that researched everything to death! I wanted to make sure that this was going to work for me. I came in and I met with Connie and I felt very comfortable. I felt in sync with Connie. And I wouldn’t do it if I didn’t feel comfortable with the person doing this process. 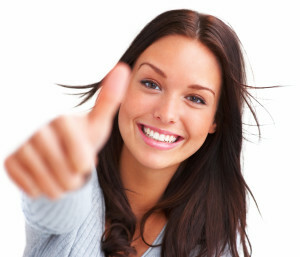 Connie made the process really easy and simple.” — Cindi, Kirkland, WA weight loss client testimonial 6-12-15. Yay, Cindi! Good job! Now all you’ve got to do is keep it going, all the way to your ultimate healthy goals And I know you can and you are! What’s nice about hypnosis is that once you enter that focused on success mindset, you’re there! You’re doing it. Healthy eating even gathers power and momentum, like a snowball rolling down the side of a snow-covered hill. Yay, for hypnosis! Weight loss hypnotherapy is just one of the services we offer. Hypnosis is for everyone! It’s for everyday people seeking everyday goals. And it works. Find out more anytime. Call me! 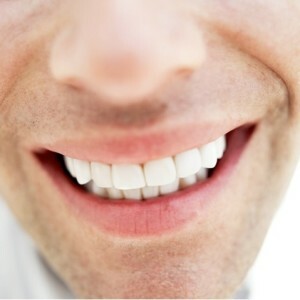 (425) 564-8608. I’m native to the Seattle area, (born in Seattle, grew up on Mercer Island). 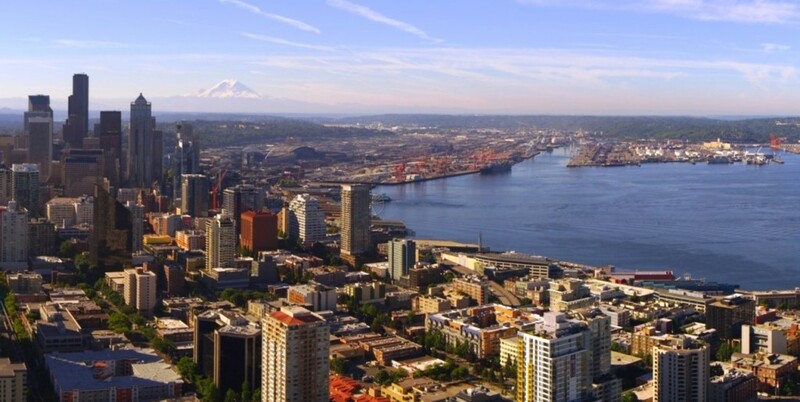 Michael and I have lived here in the gorgeous Pacific Northwest the bulk of our lives, and have chosen this area for our NLP and hypnosis clinic and school. Absolutely by choice! Nowhere else in the world is this beautiful. And, living here, we love to partake of our uniquely Northwest festivals and special events. 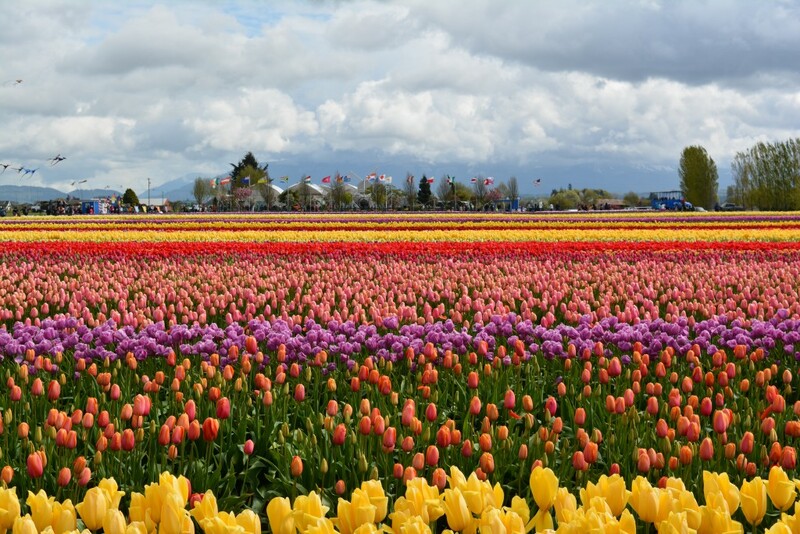 Our trek to the Skagit Valley Tulip Festival is a much anticipated yearly event. Rows and rows and vistas of hypnotic, colorful, breathtaking tulips. This year Michael and I took so many pictures. The festival sponsors a photo competition, and we entered! Michael’s amazing photograph (above) was selected as FINALIST! Woo-hoo. My photograph (below) was selected as JUDGES’ PICK. Also, woo-hoo. Hypnotic Tulips – Connie Brannan’s photo. 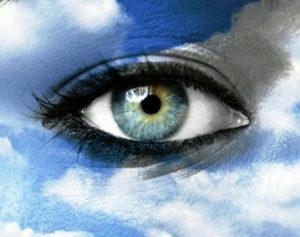 What does photography have to do with hypnosis? Quite a bit, actually. It’s a great metaphor. 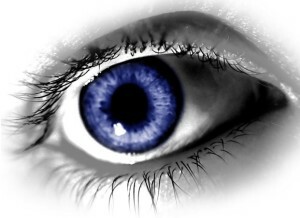 Hypnosis is about seeing the successful and beautiful in yourself and your life. It’s a refocusing and a sharpening of focus, like with a camera lens. Only you’re focusing your mind. What you focus on expands, behaviorally–so we help you focus on the things you want in such a way as you go get them! In our hypnotherapy and NLP work, we’re effectively pulling your mind out of whatever stuck place it’s in, and accessing what’s possible. And that’s anything. And showing you what’s beautiful. That’s your life. 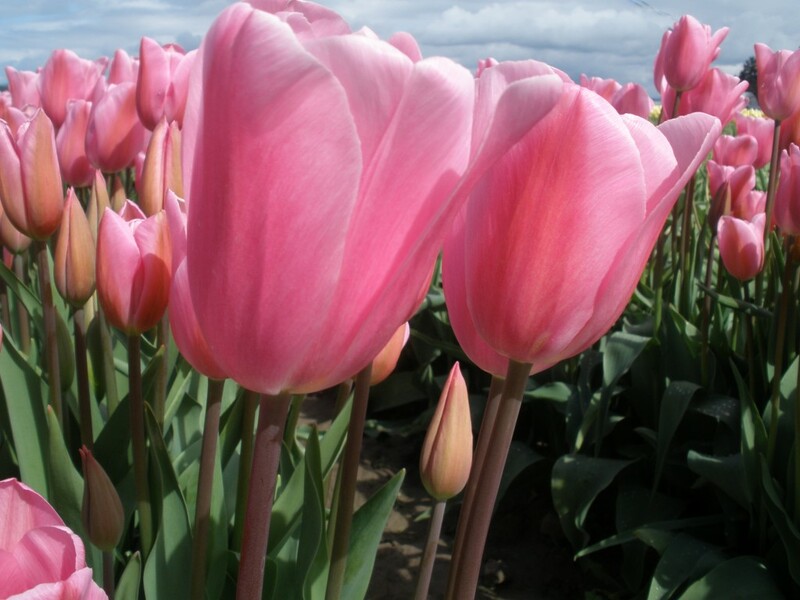 We’re sharing our almost-prize winning photos of the tulips, here. 🙂 Hope you enjoy them!